Madron Chapel is situated about halfway between the village pub (King William IV) and the cemetery, on the left, as you drive or walk through from the Penzance direction. The fellowship is small and friendly and visitors are warmly welcomed to our beautifully renovated worship area. The adjoining Sunday School room has a disabled access ramp. We are closely associated with the fellowships at Gulval and Wesley Rock, Heamoor, and unite for a sacramental service quarterly. We are also part of M.A.P. 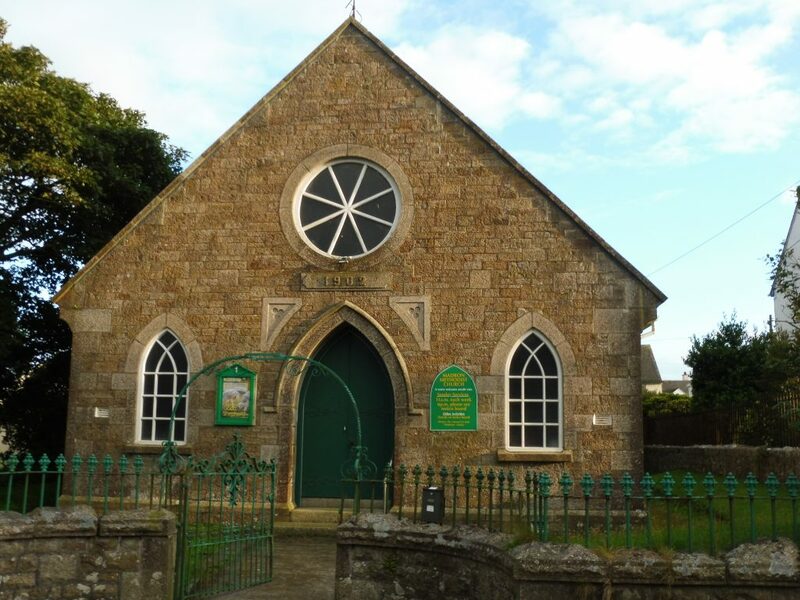 (Methodists around Penzance) group which includes Chapel Street and High Street fellowships in the town and Drift village. Members of our fellowship are involved in a community prayer group, Messy Church at Wesley Rock and in the 'Open the Book' organisation of taking Bible stories to local primary schools. On Tuesday afternoons at 2.00 pm, the second and fourth of the month, we have 'Tea, Chat and Look at the Book', an informal Bible study. On the third Tuesday at the same time MWiB (Methodist Women in Britain) hold a women's fellowship meeting to which all ladies of any denomination or none are welcome. We hold a monthly midweek communion service on the first Wednesday morning each month, followed by tea/coffee, and on the second and fourth Wednesdays we have an open coffee morning. Occasionally during the year we raise funds for Christian Aid, Shelter Box and Children’s Hospice South West, through our coffee mornings. As a fellowship we join with the Anglican Church for the Trafalgar Day Service and also for Harvest Festival, and the Madron Feast Day. The Sunday School room is used regularly for craft activities by the W.I. and other community meetings including bi-monthly lunches for local residents which are very popular. These are sponsored by 'Madron Wellwishers', a community group. That group also uses our premises for an annual Christmas Tree Festival.